This professional must-have blunt pencil brush blends like a dream. 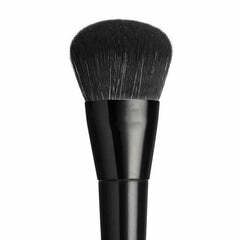 It creates an ooh-la-la result with its incredibly soft cruelty-free bristles. Use this wonderful tool to blend shadow into the crease of your eye, or to soften harsh lines to perfection. 19cm full length. Bristles - 1cm high, and 6mm wide.